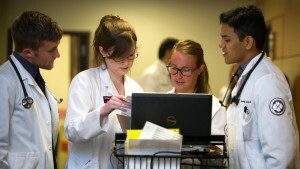 A core competency of Chicago Medical School at Rosalind Franklin University is professionalism. In order to meet this competency, students must demonstrate a commitment to carrying out professional responsibilities, adherence to ethical principles, sensitivity to a diverse patient population and the qualities required to sustain lifelong professional growth. All students should, therefore, possess the highest degree of personal integrity and be able to reason about ethical issues in their professional life. Students are expected to treat patients and research subjects with respect, compassion and sincerity, irrespective of race, color, creed, ethnic origin, religion, disability, gender, gender identity, sexual orientation, or socioeconomic class, and to maintain strict confidentiality. Students are expected to be honest and trustworthy, to respect the property of others, and to follow the code of professional ethics appropriate to their discipline. Any departures from these standards may result in disciplinary action. Professionalism extends beyond interactions with patients and their families to also include relationships and interactions between all those engaged in medical education and the delivery of patient care by physicians, students, administrators, and other health care providers. 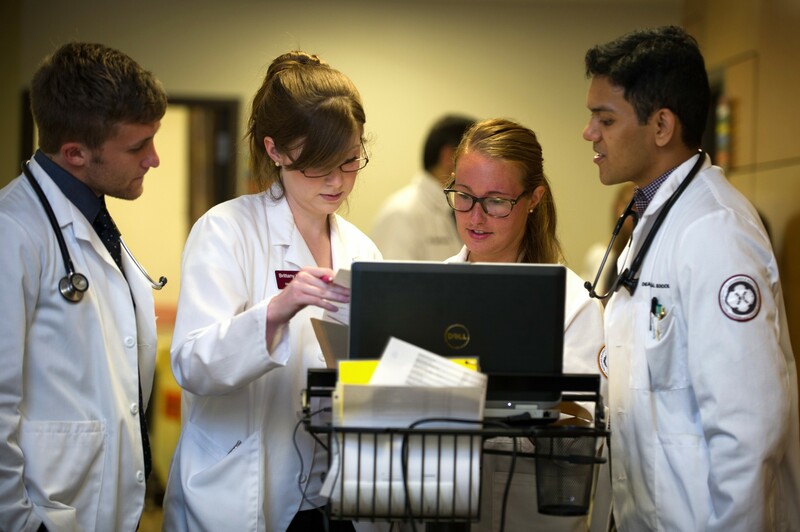 The Chicago Medical School’s Medical Student Professionalism Policy and Procedures are available on InSite, and the CMS Clinical Site Dress Code is available here. Any faculty, student, or staff may commend a medical student for exemplary professional behavior by completing and submitting the Medical Student Professionalism Commendation Form. This form is available on InSite on the Academic Learning Environment page under "Quick Links." Course or education directors enter a Competency III (Professionalism and Awareness) deficit assessment in D2L and are expected to communicate this action to the Office of Academic Learning Environment (Assistant Dean for Educational Research and Student Learning [ERSL]). Complaints of professional delay such as inappropriate dress to class are handled informally between the faculty member, the student and Assistant Dean for ERSL. Conversely, more serious complaints such as cheating on an exam, falsifying an evaluation form or abandoning clinical responsibilities will be reported to the Assistant Dean for ERSL for preliminary investigation and possible referral for further review. The Senior Associate Dean for Student Affairs and Education, Senior Associate Dean for Academic Learning Environment (ALE) and Assistant Dean for ERSL will meet on an ad hoc basis to discuss medical student professionalism complaints. Faculty, students and staff may report any allegations of breaches of medical student professional conduct by completing and submitting the Medical Student Professionalism Complaint Reporting Form, available on InSite on the Academic Learning Environment page under "Quick Links." Faculty, students, and staff may report professionalism complaints relating to the learning environment directly to the Senior Associate Dean for Academic Learning Environment. All substantiated complaints will be investigated. All investigations will be confidential to the extent possible and investigative information will be protected during any follow-up investigative activities. Due process will be assured during any investigation of an allegation of mistreatment. The School Professionalism Committee and Student Evaluation Promotion and Awards Committee may investigate professionalism complaints in Chicago Medical School. The Student Affairs Judiciary Committee may investigate university level complaints of lapses in professionalism. The Professionalism Committee, composed of faculty appointed by the Dean of Chicago Medical School, monitors the learning environment for medical students and serves as an advisory committee to the Office of Academic Learning Environment and Office of Student Affairs and Education. The committee’s primary role is education in regard to professionalism and is not be involved in making decisions regarding dismissal and retention. It also promotes and develops the measures of excellence in professionalism in the academic learning environment.